With more than half a century of combined experience, Inov8 Next is on a mission to build the next generation of technology inventors, innovations and products. By leveraging the power of partners, resources and experience, Inov8 Next transforms ideas and concepts into technology and products, covering a broad range of industries from consumer to professional and beyond. 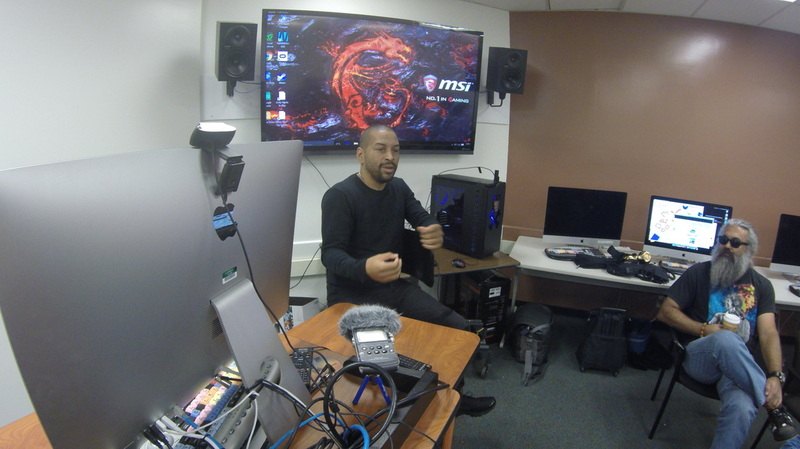 The community aspect of the studio is built on of a variety of activities and initiatives such as technology workshops, product demos, guest speakers, events, and more. We believe that all minds are created equal, we only have to unlock the abilities that are hidden inside. Exposing young minds to innovation and technology is the key to finding what is locked within. We will explore all forms of technology and use the knowledge we gain to to benefit our community, our partners, our world. A songwriter, rapper, producer, DJ and technologist, Arabian is best known for pioneering west coast electro music and being a founding member of the Rock and Roll Hall of Fame inducted rap group N.W.A. His passion for technology led to him create a 3D animation and special effects studio in the 90’s working with companies like Saban Entertainment and Fox; including 100+ video game titles for Fox interactive and Vivendi Universal. As a consultant, Arabian has advised many companies on bridging the gap between technology and the youth, while bringing new product innovations to market. Professionally known as Donovan "The Dirt Biker" Smith. 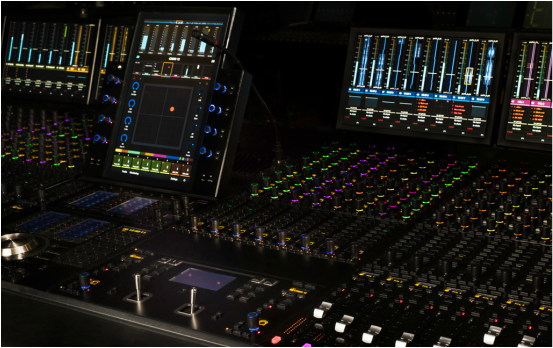 A professional mixing and recording engineer, as well as a studio owner, for over 36 years. Starting at the end of the golden years in the late 70's working in the analog world of music recording. Evolving with the industry and has always been an early adopter of digital tech. Some of his most successful clients include N.W.A, Dr. Dre, Ice Cube, Eazy-E, Arabian Prince, The D.O.C, Michel'le and Bone Thugs-N-Harmony to name a few. Virtually All Ruthless records released up to Eric Eazy-E Wright's death were created and finished by Donovan at his Audio Achievements Studios. Currently working on various pop and R & B and hip hop projects, film and broadcast TV. His motto is "What's Next in tech" I'm in! ​A talented musician is his own right, Kelly Keys is also an accomplished songwriter, producer and composer. Being mentored by the incomparable Verdine White of the legendary group Earth, Wind, and Fire has been a great asset for Kelly as he uses that knowledge to further his career to higher levels and broaden his scope and influence for his artistry. Kelly’s vast musical experience gave him the opportunity to develop projects in multiple genres of music and allowed him to work with various Hip Hop, R&B, and Rock Artists. His expertise and talent has also led him to complete various projects as in TV promo’s, Pilots, and a host of reality television shows for the major networks such as NBC, CBS, ABC, The WB, “E” , and Animal Planet. Now working with fellow producing partner Arabian Prince ,Kelly is ready to take on a new task ,the tech world. ​Underwritten by the world's largest technology products distributor Ingram Micro, Inov8 Next is supported and aligned with a broad network of industry partners. From consumer electronics and professional audio, to technology companies and lifestyle brands, Inov8 Next has the support of industry giants to develop the next generation of inventors, innovations, technology and products. ​Based in Silicon Beach, Inov8 Next is currently accepting applications for technology partners to join the innovation revolution, from independent startups to established companies. Whether you're in need of a creative work space to build your technology, or you're looking for a west coast venue to showcase your technology, Inov8 Next wants to hear from you as we build our community to create the next generation of technologies.